← Need a little Jim Jarmusch in your life? Marlo and Halleluyah caught up with director Lloyd Kaufman, innovator and indie-film pioneer at last week’s Cinemonde NY Premier of Family Values for an instant classic interview. 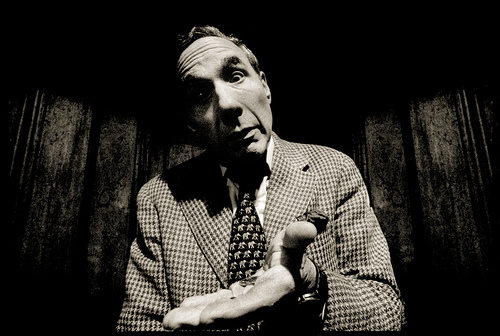 Now…if you don’t know of Kaufman, and you are in the film business or even trying to be, shame on you. Husband of the New York State Film Commissioner Patricia Kaufman, this filmmaker has a long list of credits including the Toxic Avenger franchise that you will just have to view on IMDb, because there is no way they are all fitting on this page. His latest venture is The Toxic Avenger Musical which is now playing at New World Stages. You can also check out his bio on Fearnet. This entry was posted in 1 and tagged avenger, cinemonde, commisioner, film, flu, halleluyah, herpes, kaufman, lloyd, marlo, mayor, musical, office, patricia, poultreyguist, swine, toxic, toxic avenger, troma. Bookmark the permalink.